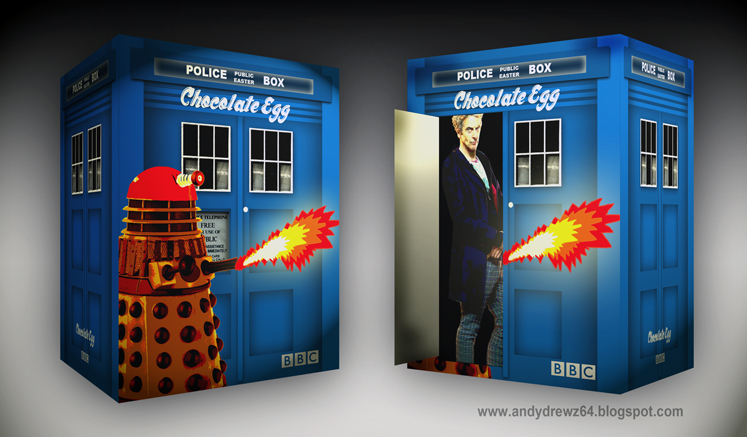 Andydrewz's Pages: A Doctor Who Easter Egg for the 21st Century! Fans of a certain age will recall a certain Doctor Who Easter egg produced by Suchard back in the early 80s that featured both a Dalek and the fifth Doctor. 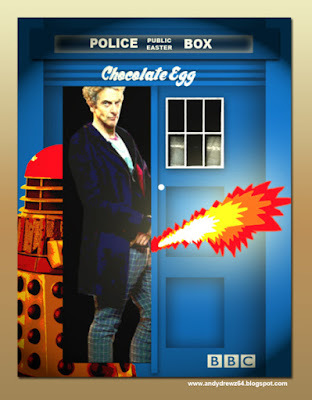 The box was in the shape of the TARDIS and the Dalek was depicted on the front firing its gun stick. 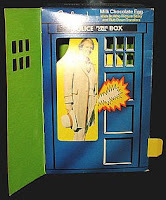 If you opened the TARDIS door, then a grinning Peter Davison was revealed looking very pleased with himself. 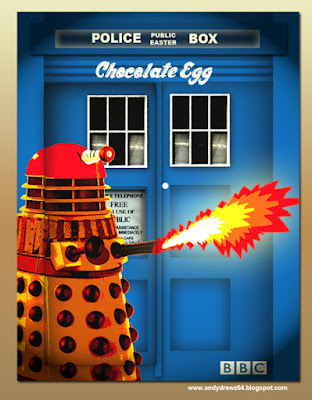 Fans with dirty minds also got the added bonus of seeing where the Dalek's ray now appeared to be firing from. You could also use a tab on the side of the box to wiggle the Doctor about a bit... which only served to make things worse. I've done an updated version which attempts to capture the magic of the original.